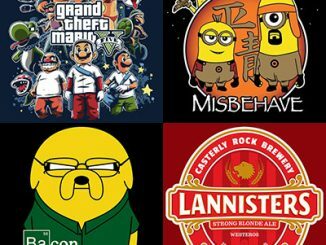 This Awesome T-Shirt Giveaway is your chance to load up on a bunch of cool new tees from Neatoshop. Summer is almost here, so couldn’t use a pile of new shirts to wear! 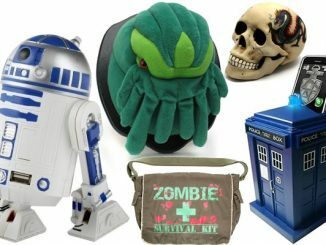 Pictured above is just a tiny selection of the cool t-shirts you can select if you win–there are hundreds of others available including shirts on such topics as Star Wars, Dr. Who, zombies, science, video games, math, bacon, and more. If you win this contest, you’ll have an $80 budget to select up to 8 t-shirts of the size, style, and color of your choice. Since you can select the shirts you want if you win this giveaway, start things off by visiting the Neatoshop T-Shirts Category. 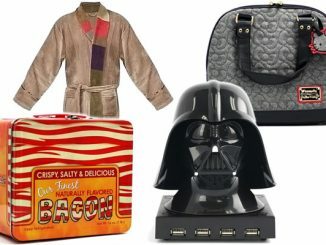 Browse the selections, pick at least one t-shirt you would like if you win, and post it in a comment to this page. Then use the Rafflecopter Giveaway form below to earn/activate your entries. If you’re the lucky winner randomly selected from the entries at the end of this giveaway, you’ll have an $80 budget towards the purchase of in-stock t-shirts from Neatoshop.com. Since their shirts are mostly priced from $9.95 to $14.95, this means you’ll be able to select 5 to 8 t-shirts and have a new funny tee for every day of the week (or at least work/school week). Don’t worry, shipping is covered too! This sweepstakes is open to everyone 18 years of age or older world-wide, and you can earn up to 10 entries. You must enter by May 21, 2013 12:01 AM EST. 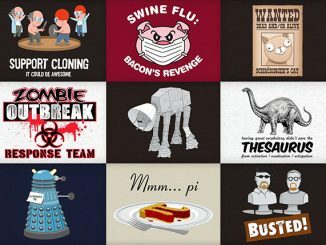 I’m loving all the awesome Doctor Who shirts! Especially Super Doctor Who. So cute! I want the What Do You Want To Do Tonight? 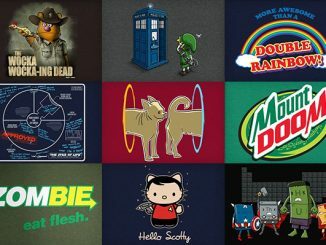 i’d go for either the “when worlds collide” or “unicorn poop” – mostly the doctor who shirt. can’t have enough of those! 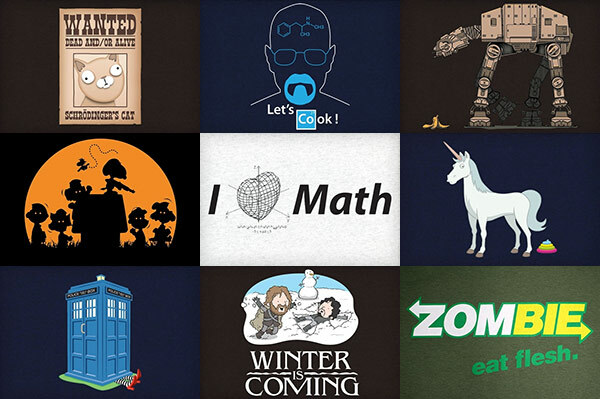 I need the Breaking Bad one, such an epic show – gotta represent! Zombie Franklin and Cyborg will be 2 of them. I love Neatoshop! Choosing the t-shirts will definately take some serious time. I bought my husband the one that says he does everything that the little voices in his wife’s head tells him. He loves wearing it and telling people that I bought it. I love almost everything in the science sections. I need Yellow Time Machine. It is my perfect hybrid. 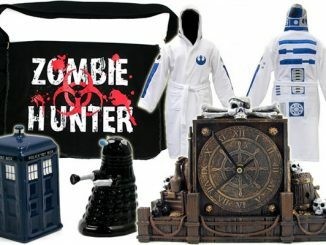 I’d wear the everloving crap out of the Zombie Eat Flesh one. Winter Is Coming with snow angels! 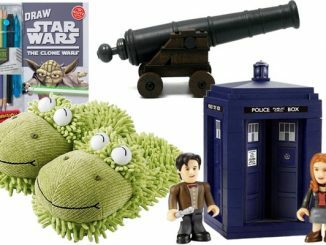 I like’m all but the Tardis on top of the wicked witch is awesome! The unicorn and zombie shirts have always been favorites. 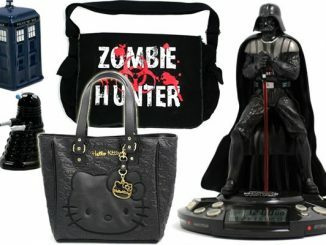 I would love the zombie shirt! Wow that was tough!! Great website. Love the independent artists. Keep up the good work! Gotta have COWABUNGA! Lovin the Turtles coming back!! Wow! Way too many awesome choices, but I’ll say the Zombie, Eat Flesh (among many others). 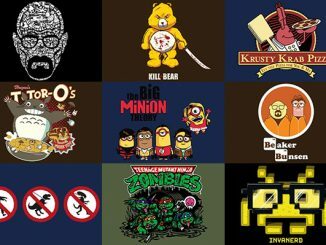 Any Walking Dead or Breaking Bad shirts! 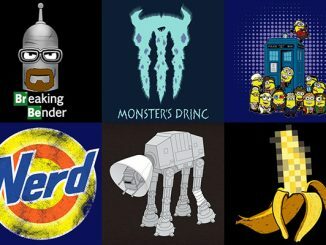 I would like a Dr. Who shirt! -If it weren’t for physics and law enforcement I’d be UNSTOPPABLE! These star wars shirts are pretty mathematical if I do say so myself. 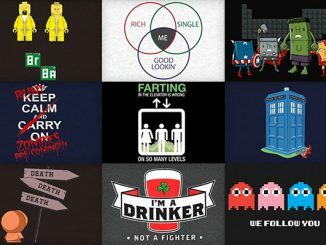 I’d love a shirt Doctor Who related! It was hard to pick a favorite, but it i had to pick one to win I’d choose the Celtic knot shamrock. Like the Arch Enemy Shirt. I like the mother of dragons shirt. I love the “Iron Avenger” shirt! The Battle Damage one made me laugh! The Breaking Bad “Let’s Cook” shirt is awesome. Couldn’t stop laughing at this shirt. I’m a Harry Potter fan, so I love the Wizneyland shirt! There aren’t too many shirts I DON’T like on here, but one of my favs is the Winter Is Coming one. Funny. Wow, I could list many I want! I’ll start with Zombie Outbreak Response Team, Right/Wrong Ambigram, Dangerous Gardening, SeQret Cat, Love is a Biohazard, and Keep Calm Dharma! 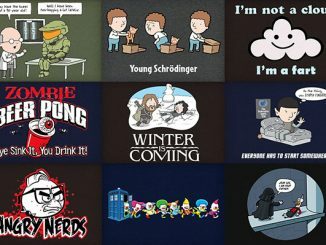 So many awesome tees it’s so hard to choose. But I’d definitely have to chose these two. I like the Mosaic shirt. Winter is Coming – in about 6 months. Definitely “Enjoy Skooma” and “Mother of Dragons”! I like the Captain Americium – Chemical Avengers shirt. Thanks! I love the Coffee Addict tee!! Chemical Avengers is my favorite. I like the Flash Hedgehog. I like the Storm Candy Trooper. Received all of the t-shirts I won from this today. Fast shipping and fun shirts, thanks geekalerts and neatoshop! You just gave me my awesome Summer wardrobe.